The ongoing and unhealthy level of the smoke haze from Indonesia poses questions we have to answer: Are the strategies we have been using to fight the haze failing? And if they are not, what else can we do? When a friend asked me those questions recently, I replied: "It looks like our strategies are not working, but actually, without them, the haze we are experiencing will be even worse. We should keep the strategies we have but realise that as those responsible are morphing and adapting, so we need to morph and adapt our strategies." I agree with my colleague Euston Quah ("When the haze doesn't go away"; The Straits Times, Tuesday) that fighting the haze will cost us money and time. However, in one crucial area, I disagree with him. Unlike Professor Quah, I believe consumers need to boycott the paper and palm oil that are being produced by recalcitrant offenders and we need to sue the Singapore companies involved. We should note that although it is not called a boycott, consumers are already avoiding palm oil, if they can help it. Try looking for palm oil on our supermarket shelves. None can be found. In contrast to olive oil producers, who are proud to tout their family name, palm oil producers are embarrassed by their product. So they label their product as "vegetable oil" or "mixed vegetable oil". If consumers are avoiding palm oil, why is there still global demand? No matter how seemingly feeble our attempt may appear to be, to do nothing is to encourage the burning to continue every year. In fact, the rather lackadaisical attitude of Singaporeans when the Pollutant Standards Index was in the 100 to 200 range suggests that we have begun to accept the burning. The companies rely on this - hoping that we will forget about the haze once burning season is over. Well, global demand is driven by the widespread use of palm oil by large companies in a wide range of products. If you used lipstick or toothpaste this morning, you may have used palm oil. The product is so widely used in so many products that the largest global buyer, Nestle, is responsible for just 4 per cent of global demand. This small percentage means demand for palm oil is spread among many companies. This makes it difficult to quickly dampen demand by targeting a few large companies. 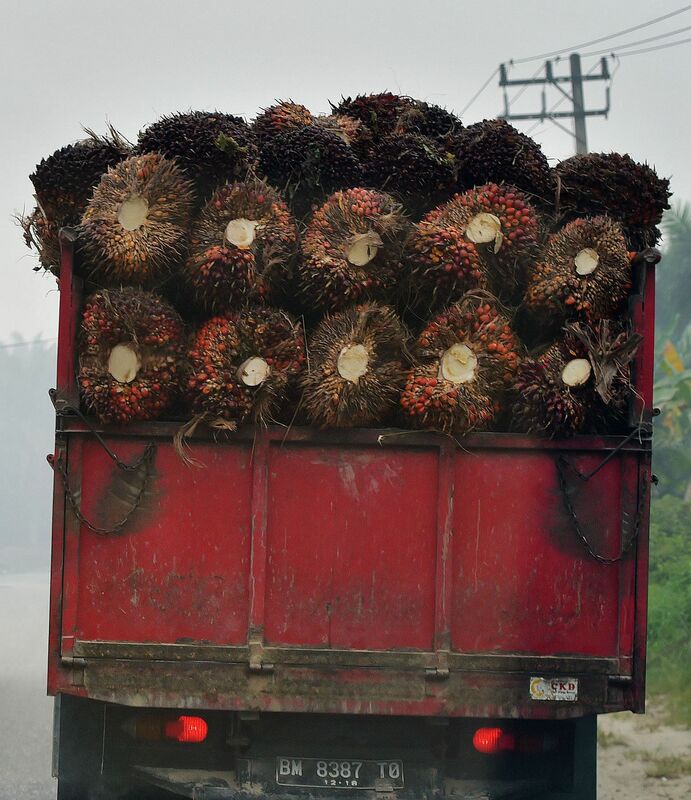 Any strategy to target companies that use palm oil has to be multi-pronged. There are a few other reasons we have to act as consumers. First, the interventions by both the public and private sectors have failed. The public sector has failed, and not for want of trying. The initial strategies in fact were to look to governments, regional cooperation and international agencies to defeat the haze. But they have not got very far. The Asean Transboundary Haze Pollution Agreement signed by all Asean members in 2002 was ratified by Indonesia in September last year, 12 years later. The private sector is conflicted. In 2013, a group of us, led by a former chief executive of a large listed company, put together a statement for business to endorse, and thereby take a stance against the unsustainable practice of burning to clear land. The move met with some success until it encountered resistance from those who have extensive business interests in the plantation sector and in Indonesia. Second, consumer boycotts are a tried and tested way of getting companies to improve their practices. I started a Facebook group, Haze Elimination Action Team, to mobilise consumers. One of its objectives is to fight the haze through consumer boycotts. True, to be more effective, we need to work across borders and target the large companies. We also need consumer education. So we need to press forward on those fronts. Singapore's Transboundary Haze Pollution Act was expected to drive large companies to mask their illegal activities using smaller firms. Amid the current haze, the self-regulatory body Roundtable on Sustainable Palm Oil (RSPO) has said that up until Aug 24, none of its 600 or so plantation members had fires in their land concessions. While this is a laudable achievement, fires have since been found on the land of some of those who supply palm oil to the RSPO members. Again, this is where our strategy must adapt to look at the palm oil supply chain and prevent "irresponsible palm oil" from being sold. The Act has apparently caused some companies to put out feelers about relocating their corporate domicile away from Singapore to avoid being prosecuted and sued. This suggests that the law is taken seriously but that we need to adapt our strategy. For paper, our offices should use only those that are sustainably sourced and not simply ask for three quotations and buy from the cheapest supplier. Government offices and large organisations can show the way. It makes no sense to save money on office paper and spend much more on healthcare. Finally, there is one big reason we should aim to do something. No matter how seemingly feeble our attempt may appear to be, to do nothing is to encourage the burning to continue every year. In fact, the rather lackadaisical attitude of Singaporeans when the Pollutant Standards Index was in the 100 to 200 range suggests that we have begun to accept the burning. The companies rely on this - hoping that we will forget about the haze once burning season is over. To accept the haze, however, is tantamount to condoning the burning practices. It means choosing to do nothing and quite literally die from the haze over time. Singaporeans should not think we are losing in the war against haze producers. It is the other guy who is backpedalling. Let us keep pushing. •The writer is a professor at the Wee Kim Wee School of Communication and Information, Nanyang Technological University and a vice-president of the Consumers Association of Singapore.